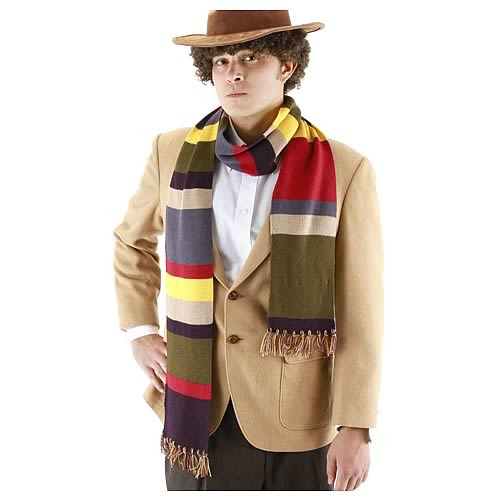 Dress like Tom Baker's 4th Doctor and stay wonderfully warm at the same time! This Doctor Who Fourth Doctor Short Scarf features the iconic colors and patterns of the good Doctor Who's scarf in his 4th incarnation. This is one item that fans of the BBC's hit Doctor Who television show and the Fourth Doctor do not want to miss out on! Measures about 72-inches long. Ages 14 and up.